Fresh and spacious apartment with three bedrooms and two bathrooms plus a separate guest WC. The kitchen is fully fitted with brand new appliances, the whole unit has just been re-painted and all the bedrooms are large with fitted wardrobes. 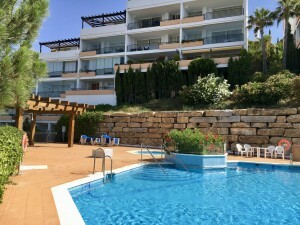 There are 4 pool areas to enjoy and the buildings are surrounded by well maintained gardens. Underground parking is included. From the spacious terrace you can enjoy some sea views and golf views and there is plenty of space for dining and sunbathing furniture. Amenities and the beach are just around the corner. 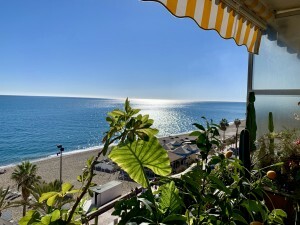 Fuengirola, Arroyo de la Miel and the airport are only a short drive away. This unit feels more like a home than just a holiday place making it a perfect home away from home or a permanent residence. 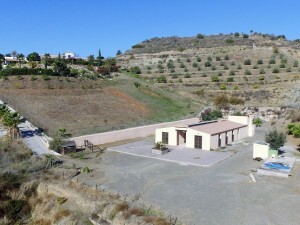 Contact Domus Venari for a viewing and more information now.